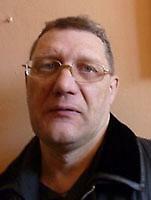 Was born in 1960 in Cheliabinsk. He graduated from Chelyabinsk art school. A teacher. Chairman of cartoonists club «Klukva» and children’s club «Klukovka». Participant of many exhibitions and competitions, he has won a number of prizes of different value for victories there. He has held 2 cartoons competitions. His author’s collection is issued. Member of the International Artists Federation.